Draft: 2005, Detroit Tigers, 1st rd. Served as a bat boy from 2000-03 for the Asheville Tourists, a Class A affiliate of the Colorado Rockies ...other bat boys for this club include author Thomas Wolfe and University of North Carolina head basketball coach Roy Williams...Was the North Carolina Gatorade High School Player of the Year in his junior and senior seasons at T.C. Roberson High School in Asheville...His father Rudy, played Little League baseball against Cal Ripken Jr. Appeared in 129 combined games between Miami and Seattle...Signed with Miami to a one-year Major League contract on February 22... Appeared in 99 games with the Marlins and hit .251 with 12 doubles...Hit .309 in the month of July (21-for-68) with five stolen bases (23 games)...Was acquired by Seattle in exchange for OF Bryson Brigman on July 31...Hit .242 (22-for-91) in 30 games with the Mariners after the trade. Returned to the Tigers organizati on and set new career-highs with a .315 (110/349) average and a .383 OBP...Was one of six players in the Majors to hit .315 (min. 350 PA) and steal 15 bases, along with Jose Altuve, Mookie Betts, Charlie Blackmon, Jean Segura and Mike Trout...After missing the first 38 games of the season due to injury, his .315 average from May 16th on ranked seventh in the American League (min. 350 PA)...Named A.L. Co-Player of the Week May 23rd aft er batti ng .600 (12/20) with a home run and five RBI...Marked second career Player of the Week honor...Hit .374 (73/195) at home, good for the third best single-season clip in Comerica Park history...Posted a .380 (27/71) average with runners in scoring positi on, which ranked second in the Majors (min. 75 PA) and the sixth-best clip in Detroit's franchise history. Established career highs with 10 home runs, 59 RBI and 45 walks with the Atlanta Braves in 2015. Ranked sixth in the National League with a .356 (42-for-118) batting average with runners in scoring position. Recorded multiple hits in a career-high five straight games from June 3-8 -- also had two-or-more hits in five straight games from August 12-17. Played in 25 games during June and hit .314 (32-for-102) with 12 runs scored, three doubles, one home run and 14 RBI. Tied a career high with a 10-game hitting streak from July 1-10 -- hit .375 (15-for-40) with eight runs scored, two doubles, one triple, two home runs and eight RBIs during the stretch. Hit the first walkoff home run of his career on August 16 vs. Arizona off of David Hernandez. Posted a .276 (107-for-387) with 47 runs scored, 13 doubles, one triple, seven home runs and 49 RBIs against righthanded pitchers...batted .237 (28-for-118) with 18 runs scored, five doubles, one triple, three home runs and 10 RBIs with lefties on the mound. Hit .289 (81-for-280) with 38 runs scored, 10 doubles, one triple, eight home runs and 44 RBIs before the All-Star break...hit .240 (54-for-225) with 27 runs scored, eight doubles, one triple, two home runs and 15 RBIs after the All-Star break. Played in 95 games for the Padres, hitting .235 with 13 doubles, four triples, one home run and 15 RBI...Missed the first 25 games of the season after rupturing his left biceps tendon during Spring Training…later missed another 25 games after serving a suspension for violating MLB's Joint Drug Prevention and Treatment Program (7/23 - 8/20)...Committed just two errors, the first on 9/8, his first since 5/18/12, snapping a streak of 189-straight games and 1,499.2 innings without an error…the errorless streak was the longest such stretch by an outfielder in Padres history in terms of games, while his 1,499.2-straight innings without an error was the second longest ever by a Padres outfielder (Eric Owens, 1,510.1 innings over 185 games from 7/22/99 - 9/30/00 (STATS)...In 51 games at Petco Park, posted a .259/.318/.341 (35-for-135) line with seven doubles, two triples and 11 RBI…in 44 games on the road, posted a .207/.258/.319 (24-for-116) line with six doubles, two triples, one home run and four RBI...Recorded his first walk-off hit of his career on 6/7 vs. WSH with an RBI single in the 11th inning off Craig Stammen. Played in just 14 games for the Padres while missing significant time with two injuries...Started in center field on Opening Day, April 1 at New York-NL, his fifth career Opening Day start and fifth-straight, third with the Padres...Placed on the 15-day DL on April 17 with a right wrist impingement…played in nine rehab games with Triple-A Tucson before being reinstated from the DL on June 6...Made four starts from June 6-9 (all in Colorado) before being placed on the 15-day DL again on June 12 with a left knee sprain suffered on June 9...Underwent arthroscopic surgery on his right wrist on September 6. Played in a career-high 147 games, making 136 starts, for the Padres, all in center field...also set a career-high with 45 RBI and tied a career-high with 44 walks. Hit.286(73-for-255)from 6/29 through the end of the season overhis final 76 games after hitting .198 (50-for-252) over his first 71games from 4/5-6/28...raised his average over his final 76 gamesfrom .198 to .243 to end the season.Over his final 52 home games from 5/18 through the end of theseason, hit .287 (50-for-174).Hit safely in 25 of 29 games with an at-bat from 8/19-9/25, batting .387 (43-for-111) over that stretch.Hit a home run on 7/2 atARI that was estimated at 485' by ESPN Stats & Information, the third-longest in MLB in2012 according to ESPN Stats & Info and longest ever by a visitor at Chase Field.Hit .295 (26-for-88) over 28 games in August and .292 (26-for-89) over 24 games in the month of September, histwo best months of 2012.Overall in 77 games at Petco Park, hit .268 (69-for-257) while hitting .216 (54-for-250) over 70 road games.Had a career-high tying four hits twice over a three-game span on 8/19 vs. SF and 8/21 vs. PIT (8x total).Had career-high tying three RBI twice on 7/31 at CIN and 8/19 vs. SF (8x total).Over a 62-game span from 5/24-8/13, hit .315 (17-for-54) with runners in scoring position. Unanimously selected as the Padres Most Valuable Player by the San Diego Chapter of the BBWAA in his first year with the club...Established new career highs in nearly every offensive category, including games, runs, hits, doubles, triples, home runs, RBI and stolen bases...Started 132 games total, all in center field, and posted the second best zone rating (.901) among all qualifying NL center fielders...Led the team in runs, triples, stolen bases and multi-hit games (career-high 37)...tied for the club lead in hits (also Jason Bartlett), ranked second in games and doubles, ranked tied for second in home runs...Tied for fourth in the Majors with 40 stolen bases...successful in 21 consecutive attempts from 5/19-8/8...stole a base in a franchise-record six consecutive games from 7/19-24...Tallied 37 infield hits, ranking sixth in the Majors and second on the Padres all-time single-season list (Eric Owens, 40 in 2000)...Missed time during one stint on the DL from 6/1-13 with right knee inflamation...Recorded three four-hit games, including back-to-back efforts 5/11 at MIL and 5/13 at COL...third Padre to have consecutive four-hit games...First career multi-homer game 5/13 at COL...tied career highs with three RBI and three runs scored in that game. Spent the majority of the season with FLA, alsoseeing time with the Marlins' Triple-A affiliate in NewOrleans and Rookie-level GCL Marlins.Made 47 starts in center field prior to being optioned on 6/17...hit.338 (44-for-130) in 33 games with the Zephyrs...Missed almost the entire month of July with a left shoulder sprain...placed on the DL 7/2 and was reinstated 7/27...played three gameswith the GCL Marlins as part of a rehab assignment...Recalled by FLA 8/24, finishing the season in the Majors...hit .248 (27-for-109) in 31 games, making 27 starts incenterfield after his recall. Started his fourth professional season on the Marlins Opening Day roster, the first Opening Day rosterof his career. In 26 games with Florida to begin the year, batted .202 (17x84) with four doubles,a triple, one home run and four RBI. Made 23 starts in center field prior to being optionedto triple-A New Orleans on May 10...With New Orleans, posted a .319 average with 18 doubles, eight triples, three home runs and 39RBI in 82 games. Led the Zephyrs in batting and ranked second in on-base percentage (.399),behind David Matranga (.404)...Upon his arrival to New Orleans, hit safely in his first five games and 10 of 13, batting .319 (15x47)with two doubles, two triples and five RBI in that span...From June 27 to July 11, hit safely in a season-best 13 consecutive games, batting .415 (22x53)over the streak...In 22 June games, hit .382 (29x76) with five doubles, two triples and seven RBI...Against left-handed pitching, hit at a .387 clip (36x93), while batting .288 (59x205) against righties...Recalled by Florida on August 31, finishing the season with a .293 average (27x92) with eight doubles,one triple, three home runs and 10 RBI in 28 games (24 starts)...Connected for first home run as a Marlin on April 21 in Pittsburgh. Marked his first HR since August18, 2007 at Yankee Stadium off Roger Clemens. Also homered on September 8 at New York,September 26 vs. New York and September 29 at Atlanta...Tied a career best with four hits on October 2 at Philadelphia. Also had four-hit games in his firsttwo September starts last year (September 18 vs. Houston and September 19 vs. Philadelphia)...Had two season-best five-game hit streaks; April 28-May 2 and September 22-September 27. Spent all of 2008 at double-A Carolina prior to being recalled byFlorida on September 2...led Mudcats in triples (8), while tyingfor the second most home runs (13) and ranking third in runsscored (73)...Began the season by hitting in his first six games, batting .474(9x19) with two home runs and four RBI...Collected a season-high four hits on May 5 at Jacksonville,coming up short of hitting for the cycle by a triple...also scoreda season-high four runs...Posted a .249 average (50x201) with four home runs and 23 RBIin 56 home games...hit at a .307 clip (58x189) with nine homersand 29 RBI in 52 games on the road...Owned a .500 average (2x4) with one home run and two RBI asa pinch-hitter...PH home run came April 19 vs. Tennessee...Earned Southern League Player of the Week honors for June 2-8, as he batted .400 (10x23) with two doubles, two triples, threehome runs and nine RBI...also named to Southern League All-Star team (did not play)...Hit .273 (9x33) with one home run and five RBI in eight playoffgames...Recalled by Marlins on September 2 and made an immediateimpact, posting a .500 average (16x32) with two RBI in eightgames...Recorded four hits in his first start with Florida, September 18 vs.Houston...became third Marlin to record four hits in their firststart with the club, joining Jeff Conine (April 5, 1993 vs. LosAngeles) and Carlos Delgado (April 5, 2005)...Tallied four hits the following day to become only the secondrookie in last 20 years to record back-to-back four-hit games(Helton, 1998)...Also tied a club record by reaching base safely in 10 straightplate appearances. In his second professional season, he saw action withthree Tigers minor league clubs before seeing his firstmajor league action with Detroit...Second among all Tigers minor leaguers with a .316batting average between his three stops, while he wasfifth with 25 stolen bases...Earned a spot on the U.S. Team for the Futures Game held at AT&T Park in San Francisco prior to Major LeagueBaseball's All-Star Game -- was unable to participate dueto a right shoulder subluxation...Selected to both the Florida State League's mid- andpost-season all-star squads with Single A Lakeland...Tabbed the most exciting player and best baserunnerin the Florida State League by Baseball America...Hit .311 (23x74) with 19 runs scored, four doubles, twotriples, four home runs and 13 RBI in 22 games during April..Collected a season-best four hits for Lakeland on May11 at Daytona...Belted two home runs at Tampa on May 29...Batted .308 (32x104) in 27 games during May, scoring19 runs and collecting three doubles, a triple, two homeruns and 12 RBI...Sidelined July 12-30 on the disabled list with a rightshoulder subluxation -- assigned to the Gulf CoastLeague Tigers for two games July 27-28 as part of aninjury rehab assignment...In eight games with Lakeland following his return fromthe disabled list, he batted .323 (10x31) with six runsscored, three doubles, a triple, two home runs and seven RBI...Promoted to Double A Erie on August 9...Hit safely in each of his first five games with ErieAugust 10-15 -- batted .417 (8x17) with nine runs scored,a double, four home runs and eight RBI...Had his contract purchased by the Tigers from Erie onAugust 17 -- made his major league debut that night atYankee Stadium against New York, starting in leftfield...youngest player to play for the Tigers since AlanTrammell debuted at age 19 in 1977...Collected both his first major league hit and home runon August 18 against New York's Roger Clemens atYankee Stadium -- singled in the third inning and belted asolo home run in the fifth inning...according to the EliasSports Bureau, he became the seventh player to hit hisfirst major league home run off Clemens...Established a career high with two hits on August 18 atYankee Stadium against New York -- matched the highwith two hits on August 22 versus Cleveland...Swiped a career-high two bases on August 24 versusthe New York Yankees...Named the second-best prospect in the Florida StateLeague following the season by Baseball America. Named the Tigers Minor League Player of the Year after finishing fifth in the Midwest League with a .304 battingaverage and .387 on-base percentage for Single A West Michigan...Earned a spot on the Midwest League's post-seasonall-star squad, in addition to being named the league's prospect of the year...selected to Baseball America's LowSingle A all-star squad...Tabbed the most exciting player, best baserunner and fastest baserunner in the Midwest League by Baseball America...Hit safely in 12 of his first 13 games of the season April 6-21, batting .352 (19x54) with four doubles, three triples, a home run and 13 RBI...Sidelined May 16-June 9 with a right index finger tendon injury...Connected for a grand slam on June 10 at Dayton, driving in a season-best five runs -- belted a second grand slam on August 30 versus Lansing...Recorded a season-high 12-game hitting streak July 18-30, batting .420 (21x50) with 12 runs scored, threedoubles, a home run and 10 RBI...Collected a season-high four hits July 26 versus Peoria...Selected the Tigers Minor League Player of the Month for July after hitting .376 (38x101) with 22 runs scored, five doubles, a triple, three home runs, 21 RBI and 11 stolen bases in 27 games -- sixth in the league with a .376 batting average during the month...Saw action in nine games during the Midwest League playoffs, batting .343 (12x35) with eight runs scored, three doubles, two triples, a home run and six RBI...Named the top prospect in the Tigers organization and second-best prospect in the Midwest League following the season by Baseball America. 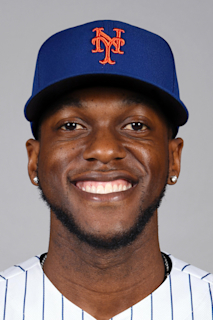 March 29, 2019 Cleveland Indians signed free agent LF Cameron Maybin. March 29, 2019 LF Cameron Maybin assigned to Columbus Clippers from Cleveland Indians. March 23, 2019 San Francisco Giants released LF Cameron Maybin. March 23, 2019 Sacramento River Cats released LF Cameron Maybin. February 21, 2019 LF Cameron Maybin assigned to Sacramento River Cats. February 18, 2019 San Francisco Giants signed free agent LF Cameron Maybin to a minor league contract and invited him to spring training. October 29, 2018 LF Cameron Maybin elected free agency. August 1, 2018 Seattle Mariners activated LF Cameron Maybin. February 21, 2018 Miami Marlins signed free agent LF Cameron Maybin. November 2, 2017 LF Cameron Maybin elected free agency. September 2, 2017 Houston Astros activated LF Cameron Maybin. August 31, 2017 Houston Astros claimed LF Cameron Maybin off waivers from Los Angeles Angels. August 7, 2017 Los Angeles Angels activated LF Cameron Maybin from the 10-day disabled list. August 4, 2017 Los Angeles Angels sent OF Cameron Maybin on a rehab assignment to Salt Lake Bees. July 19, 2017 Los Angeles Angels placed LF Cameron Maybin on the 10-day disabled list. Right MCL sprain. June 9, 2017 Los Angeles Angels activated LF Cameron Maybin from the 10-day disabled list. June 1, 2017 Los Angeles Angels placed LF Cameron Maybin on the 10-day disabled list retroactive to May 30, 2017. Left oblique muscle contusion. November 3, 2016 Detroit Tigers traded LF Cameron Maybin to Los Angeles Angels for RHP Victor Alcantara. August 21, 2016 Detroit Tigers activated CF Cameron Maybin from the 15-day disabled list. August 10, 2016 Detroit Tigers placed CF Cameron Maybin on the 15-day disabled list retroactive to August 4, 2016. Grade two left thumb sprain. May 16, 2016 Detroit Tigers activated CF Cameron Maybin from the 15-day disabled list. April 29, 2016 Detroit Tigers sent OF Cameron Maybin on a rehab assignment to Toledo Mud Hens. April 23, 2016 Detroit Tigers sent OF Cameron Maybin on a rehab assignment to Toledo Mud Hens. April 12, 2016 Detroit Tigers sent OF Cameron Maybin on a rehab assignment to Toledo Mud Hens. April 7, 2016 Detroit Tigers sent OF Cameron Maybin on a rehab assignment to Lakeland Flying Tigers. October 21, 2014 OF Cameron Maybin assigned to Toros del Este. August 20, 2014 San Diego Padres activated CF Cameron Maybin from the restricted list. August 15, 2014 sent CF Cameron Maybin on a rehab assignment to El Paso Chihuahuas. July 23, 2014 San Diego Padres placed CF Cameron Maybin on the restricted list. April 27, 2014 San Diego Padres activated CF Cameron Maybin from the 15-day disabled list. April 11, 2014 San Diego Padres sent CF Cameron Maybin on a rehab assignment to El Paso Chihuahuas. September 30, 2013 San Diego Padres activated CF Cameron Maybin from the 15-day disabled list. July 30, 2013 San Diego Padres sent CF Cameron Maybin on a rehab assignment to Tucson Padres. June 12, 2013 San Diego Padres placed CF Cameron Maybin on the 15-day disabled list retroactive to June 10, 2013. Left knee sprain. June 6, 2013 San Diego Padres activated CF Cameron Maybin from the 15-day disabled list. May 24, 2013 San Diego Padres sent OF Cameron Maybin on a rehab assignment to Tucson Padres. April 17, 2013 San Diego Padres placed CF Cameron Maybin on the 15-day disabled list retroactive to April 16, 2013. Right wrist impingement. June 13, 2011 San Diego Padres activated CF Cameron Maybin from the 15-day disabled list. June 10, 2011 sent CF Cameron Maybin on a rehab assignment to Tucson Padres. June 1, 2011 San Diego Padres placed CF Cameron Maybin on the 15-day disabled list retroactive to May 28, 2011. Right knee inflammation. November 13, 2010 San Diego Padres traded RHP Edward Mujica and RHP Ryan Webb to Florida Marlins for CF Cameron Maybin. August 24, 2010 Florida Marlins recalled Cameron Maybin from New Orleans Zephyrs. July 27, 2010 Cameron Maybin assigned to New Orleans Zephyrs from Florida Marlins. July 27, 2010 Cameron Maybin roster status changed by New Orleans Zephyrs. July 24, 2010 New Orleans Zephyrs sent OF Cameron Maybin on a rehab assignment to GCL Marlins. July 4, 2010 New Orleans Zephyrs placed OF Cameron Maybin on the 7-day disabled list. June 21, 2010 OF Cameron Maybin assigned to New Orleans Zephyrs. June 18, 2010 Florida Marlins optioned CF Cameron Maybin to New Orleans Zephyrs. September 1, 2009 Florida Marlins recalled Cameron Maybin from New Orleans Zephyrs. August 17, 2009 Cameron Maybin roster status changed by New Orleans Zephyrs. August 5, 2009 CF Cameron Maybin assigned to New Orleans Zephyrs. May 11, 2009 Florida Marlins optioned CF Cameron Maybin to New Orleans Zephyrs.